Riley Dowell (left) killed a double-bearded 20-pound turkey, and Corbin Riley killed a 24-pounder on N.C.'s opening day of youth season. North Carolina’s youth hunters were out in the woods this past weekend for the 2019 youth turkey season opener. And reports are that many of them killed gobblers. Corbin Riley killed his first turkey on Saturday, April 6. Not only was that opening day, it was also Corbin’s birthday. The 12-year-old celebrated in fashion, killing a whopping 24-pound gobbler that sported a 10 1/2-inch beard and 1-inch spurs. 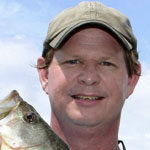 The Greenville, N.C. sportsman was hunting in Pitt County when he killed the big bird. 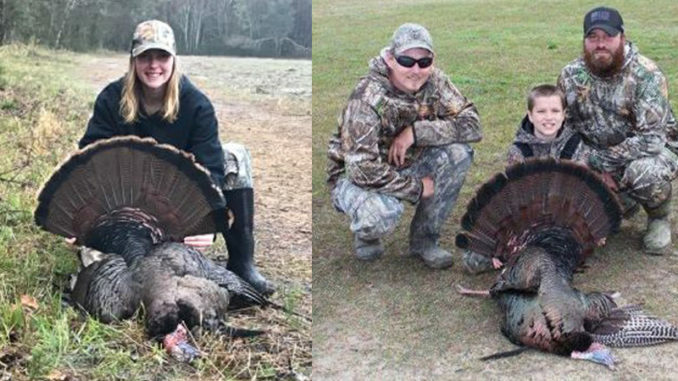 Another Riley, female youth hunter Riley Dowell of Otway, N.C. was also hunting on Saturday when she killed her first turkey. Her gobbler was a double-bearded beauty that weighed 20 pounds, and had 1 1/4-inch spurs. The longest beard measured 11 inches, and the second beard measured 7 inches. 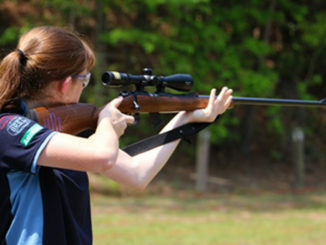 Dowell, who is 17-years-old, was participating in the NWTF Pirate Classic Youth Turkey Tournament over the weekend. Her turkey gave her a third place finish in the event. The youth season continues through this Friday, April 12. 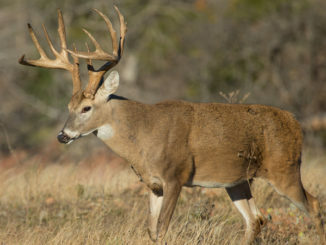 Then the season opens for all hunters on Saturday, April 13. It will continue through May 11.